Home » Design blog » What is a content management system? Software that allows manipulation of website content (text, phones etc.) in an easy to use interface. This process allows our clients to access the “back-end” of their website to make changes to content such as add images and text, add new products and services, share videos and downloadable files and much more. WordPress is a CMS that is extremely versatile and solid. There are many content management systems available, others include Drupal, Joomla and ExpressionEngine to name a few. WordPress is free and “open source” software, meaning the code and software is free and available for anyone to add to and manipulate. This creates a huge community of developers and currently WordPress boosts the most users and downloads of any CMS. We build custom themes for WordPress allowing consistent design and adaptability. Contact us and we’ll get started building the perfect home on the internet for your business. Let’s get a quote prepared for you, click here to get started now. 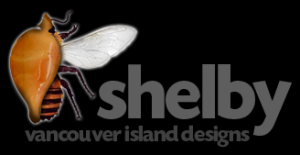 Learn about Website design, Wordpress, Graphic design, Marketing in Campbell River, Courtenay and the Comox Valley and more.